Paris is one of the best cities in the world to celebrate Valentine's Day with your partner. Couples from all over the world come to the city of love on February 14th. On the most romantic day of the year in Paris there are many things to do for lovers. Indeed, this special day is a great opportunity to create unforgettable memories. Here are 15 ideas of how to spend the perfect Valentine’s day in the French capital of love. Paris at night is one of the most beautiful cities in the world. A romantic cruise with a delicious dinner is an excellent idea for your Valentine's Day. 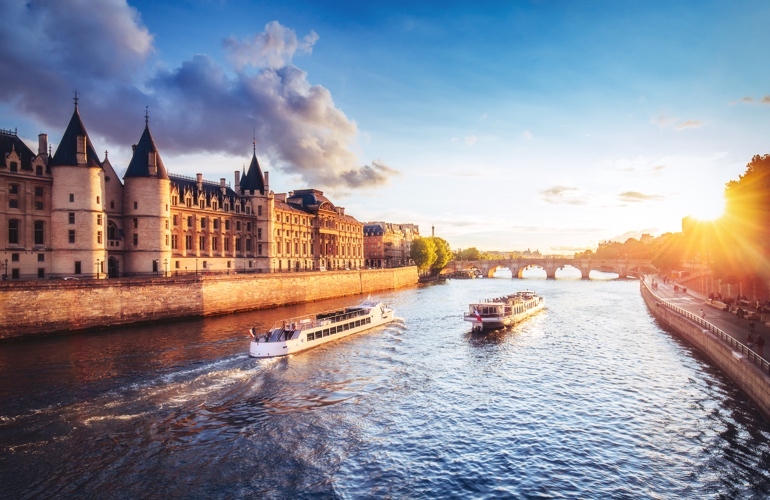 Enjoy stunning views of night Paris from the water while dinner accompanied by French wine is served. The cruise starts at 8:30 pm and lasts 2 hours 15 minutes. During the whole trip, the live music is provided on board by the violinist and pianist. A very warm and relaxing atmosphere reigns during the journey. Dedicate your evening to a cultural program. 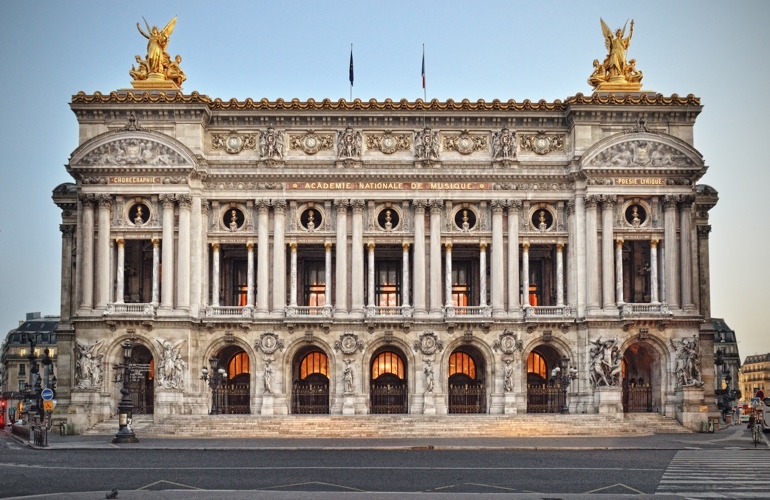 Paris Opera is a very beautiful place with ancient history. Every season the magnificent ballets are shown there and the most talented artists and musicians perform. February 14 there will be a concert by the musicians and members of the Paris Opera Orchestra and Chorus. They will offer a series of concerts preceded by an introductory meeting. Luxury interiors of the Paris Opera, classical music and beautiful clothes are the perfect elements for Valentine's Day in Paris. The Eiffel Tower is considered the most romantic symbol of Paris. 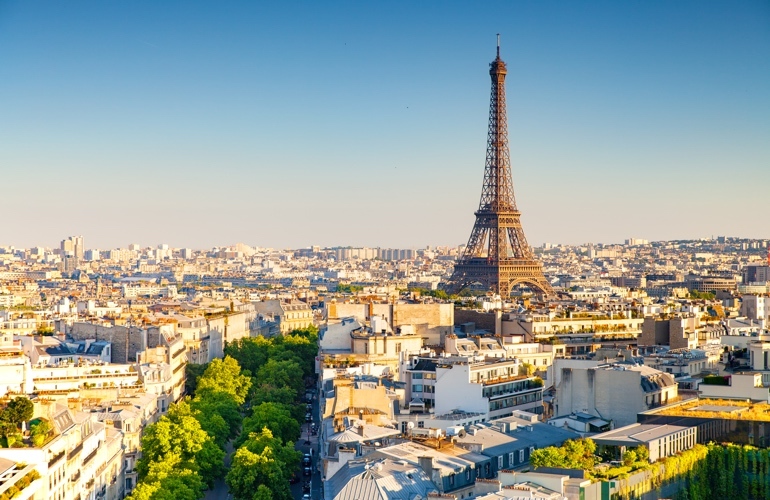 This is a place where incredible views of the city of love are opened. The 58 Tour Eiffel restaurant is situated on the first floor. To celebrate Valentine's Day here, you will need to book a table in advance. Here you can taste traditional French cuisine, delicious desserts and, of course, French wine. The Champagne Bar is situated on the top floor of the Eiffel Tower. Enjoy there a glass of champagne while taking in incredible views of Paris, seen from an altitude of 276m. From here, amazing view on night Paris is open. 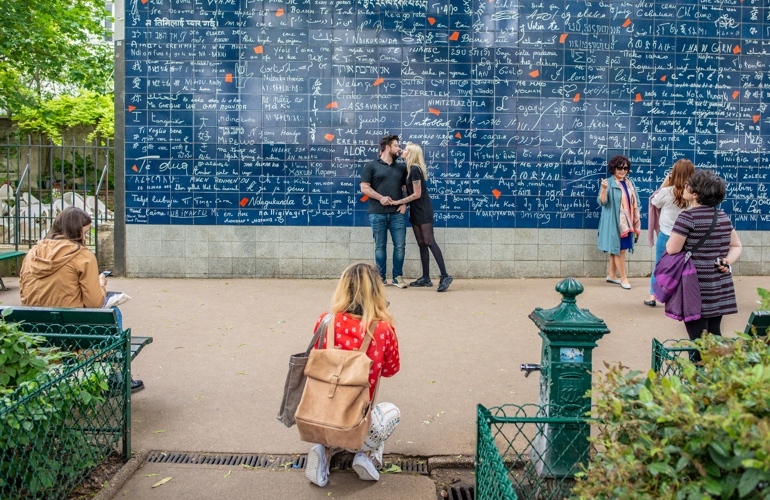 Le mur des je t'aime is a wall of 40 square meters, situated in Montmartre, Paris. This is probably the most romantic wall in the world. Here, the phrase 'I love you' is written 311 times in 250 different languages. Come here with your soulmate and find these most important words in your language. After visiting the wall you can take a stroll through Montmartre. This is an area filled with love and where every corner has its own romantic history. This unique french cabaret is situated not far from Montmartre, in the Paris district of Pigalle. You easily recognize the building thanks to the huge red miller on the roof. Le Moulin Rouge is world famous thanks to the creation of a modern form of the can-can dance. Today cabaret performs one of the best shows in Paris. Incredible costumes, acrobatics, fiery dances, original music, and French champagne create an amazing atmosphere. You can also order tickets with dinner to fully enjoy the both, show and French cuisine. With a professional sommelier, taste several award-winning French wines from different regions in France. You will explore the art of food and wine pairing, learn how to read a French wine label and navigate a wine list. Then, discover the secrets of French wine through a sensorial experience in a beautiful wine cellar. This is not only a very romantic experience but also a very interesting and informative one. You will get an unforgettable experience with your partner and plunge into the world of fine French wines. Parisian classic: croissants, baguette, cheese, and wine with a beautiful view of the city of love. 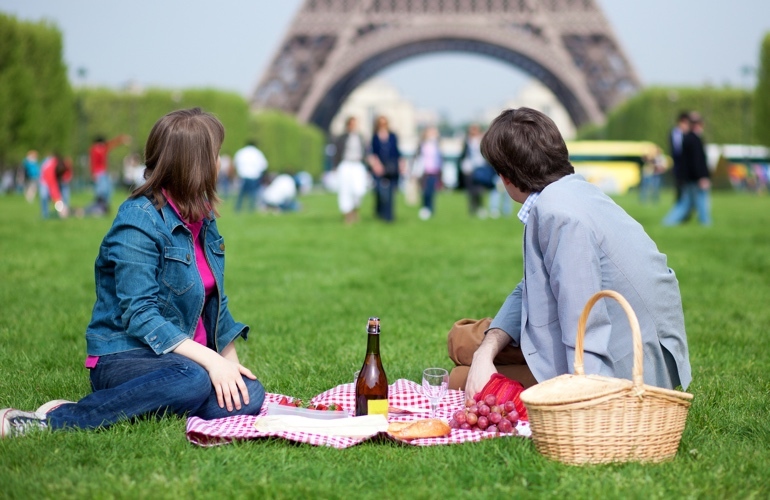 The picnic is the most informal, so French and very romantic gift for Saint Valentine's Day. There are plenty of picnic spots in the city. Make it on the Champ de Mars with a view to the Eiffel tower, on the banks of the Seine, in the Tuileries or Luxembourg gardens. Think about taking blankets with you, as on February 14th, it can be cold enough. It is also worth checking the weather forecast to know if it will rain this day. It is well known that all girls love chocolate. And especially chocolate made by the top French confectioners in the most romantic city on earth. Thus, the chocolate tasting can be a very pleasant and unforgettable gift. Chocolate tasting is a guided gourmet walking tour of the best Parisian chocolatiers. 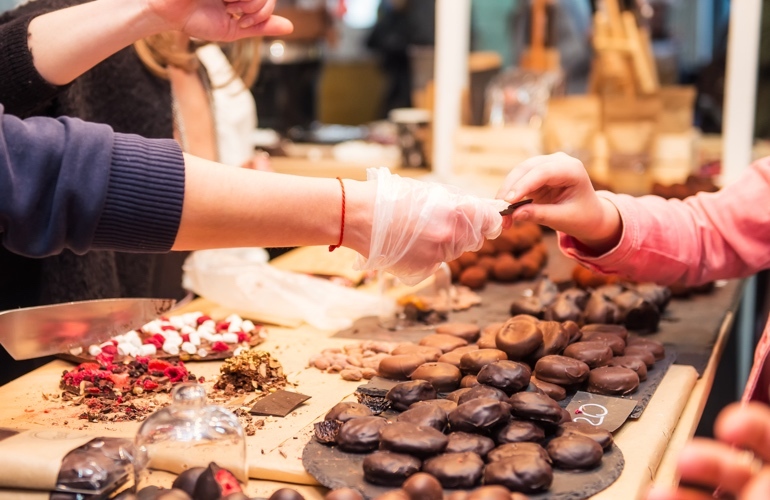 Visit a selection of artisan-made chocolate boutiques (among the greatest in Paris! ), where you can sample exquisite delights. The various production methods and the strengths of each artisan will be explained to you, and then you’ll have the chance to appreciate the quality of their products through a tasting in each boutique. You may also visit a Chocolate Museum to explore by self-guided tour there 4000 years of chocolate history. In the end, you can make your own chocolate hot drink. Make a photo shoot in Paris and get pictures that you can save for the rest of your life in memory of this special day. Your photographer will suggest routes with fantastic photo ops or you can choose your own. He will capture amazing posed and candid shots of you and your loved in the City of Light. After your 2-hour photo shoot in the streets of Paris, you'll receive between 130-150 photos of your adventure by email. Thus, you'll go home with treasured souvenirs of your time in Paris that you'll want to look at and share again and again. Paris is the capital of not only love but also of the world gastronomy. The French cuisine is famous for its refinement, and the chefs are known for their ability to make a work of art from each dish. 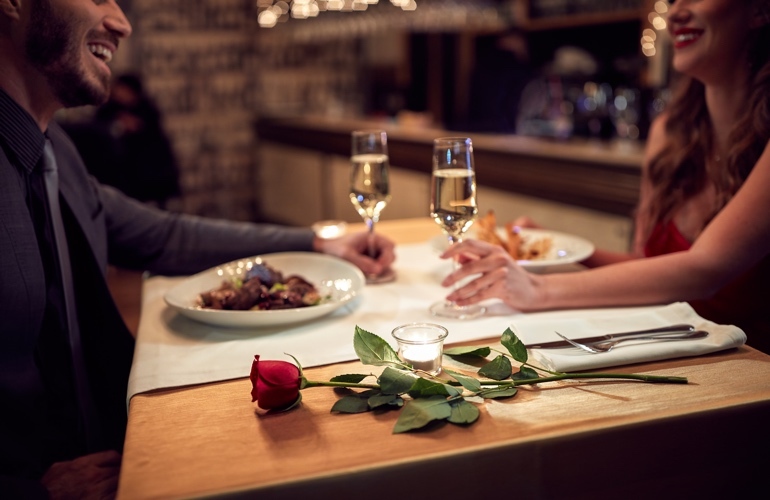 Romantic dinner in the French restaurant This is an excellent opportunity to spend time together in Paris on Saint Valentine's Day. Be sure to reserve a table in advance, as it may be difficult to get to the good restaurants in Paris on such a special date.